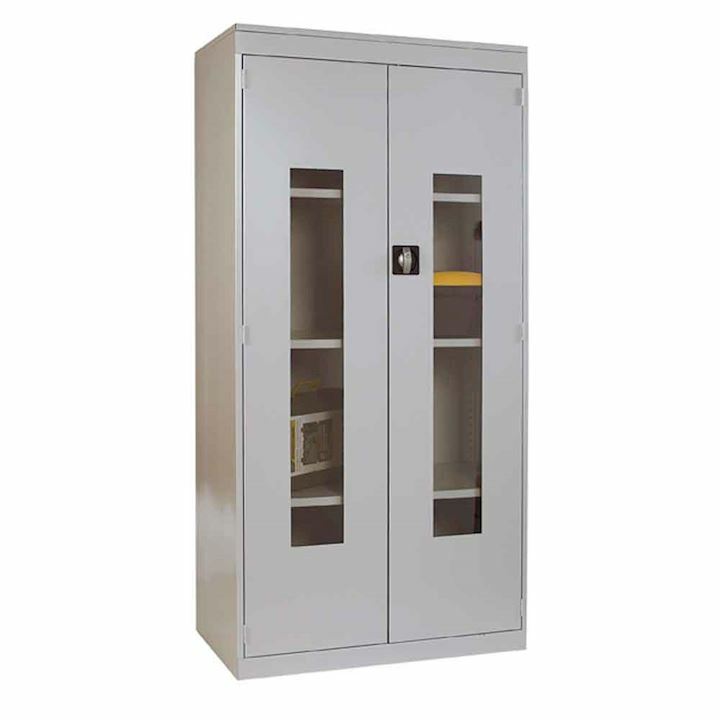 Durable insight cupboards offer the security of steel with the convenience of toughened polycarbonate viewing panels. Available in a selection of sizes, and with a customisable shelving layout as standard, all of our vision door cabinets are treated in Activecoat antimicrobial protection, which reduces harmful germs and produces a more hygienic workspace. 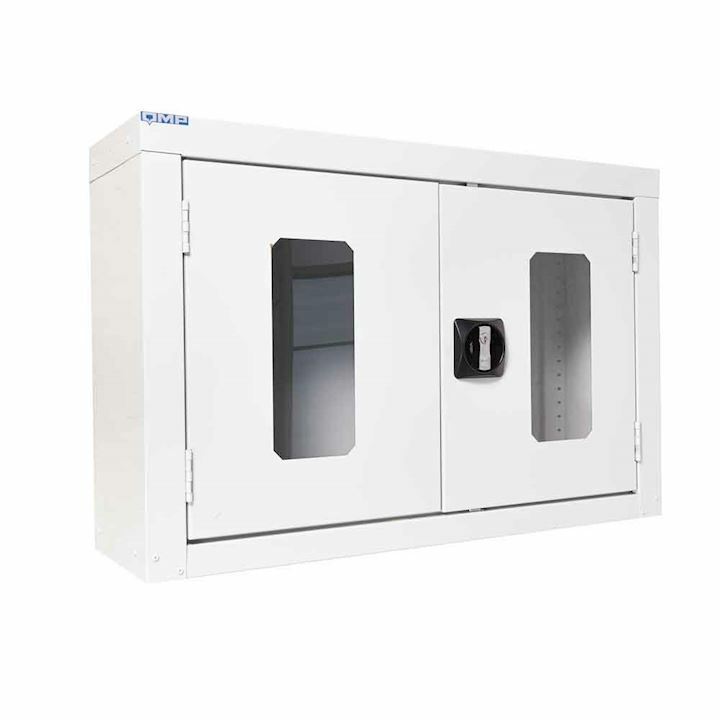 Our insight cupboards are ideal for use in settings including hospital and healthcare centres, schools, warehouses, industiral units, and any other facility where you require secure and convenient storage Buy today to enjoy more flexible and convenient storage options for your business, or browse the site to see our full collection of high-quality steel storage cupboards. 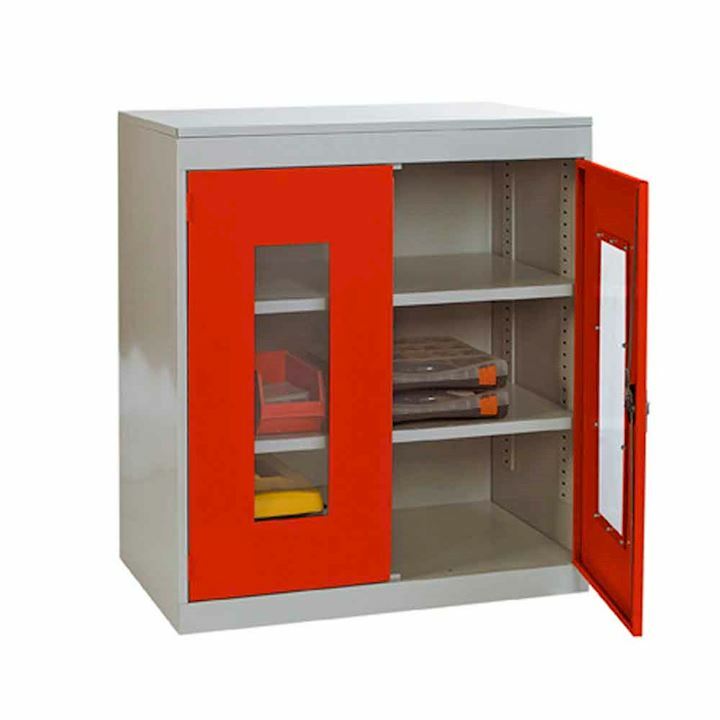 Our steel lockers and storage cupboards are designed for security. 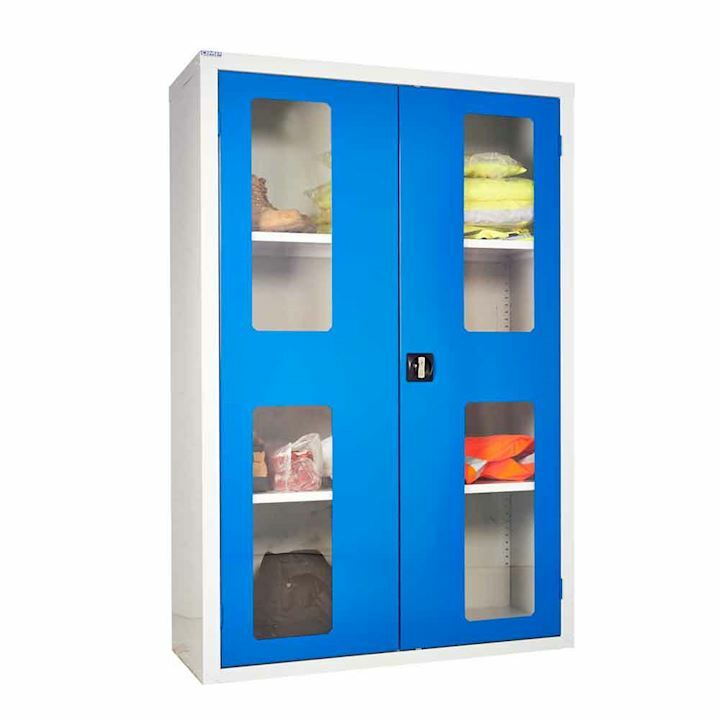 Vision panel cupboards come in a selection of sizes and, depending on the dimensions of the cupboard, include two or three movable shelves, The shelves are adjustable in 25mm increments, which means that you can create an customisable layout inside the cupbaord. 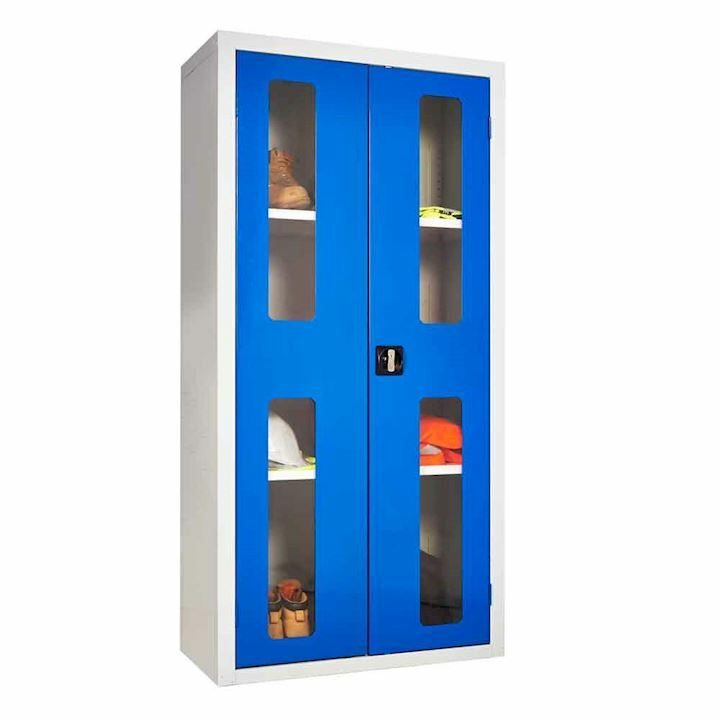 We also offer a selection of smaller cabinets and lockers with vision door panels. 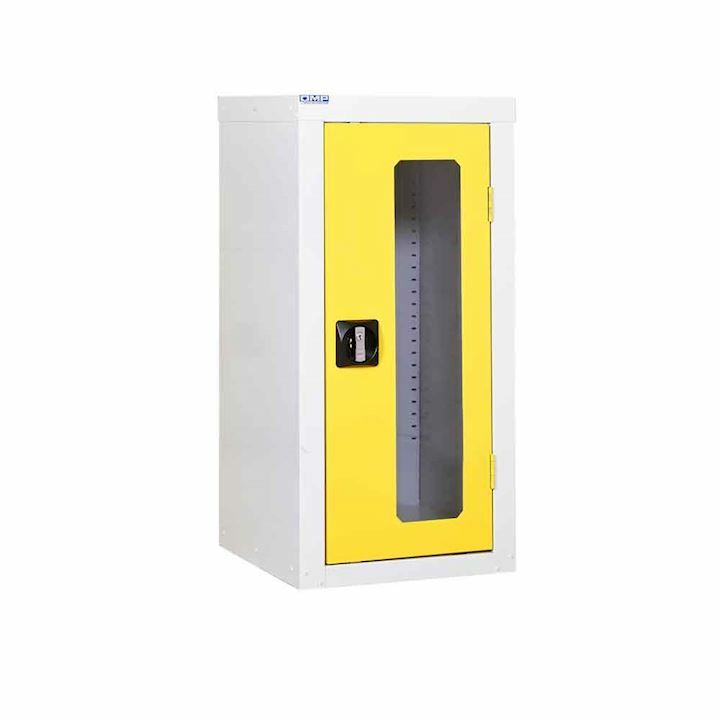 These clear door lockers are available in 2 door, 3 door, 4, 5, 6 and 8 door versions. 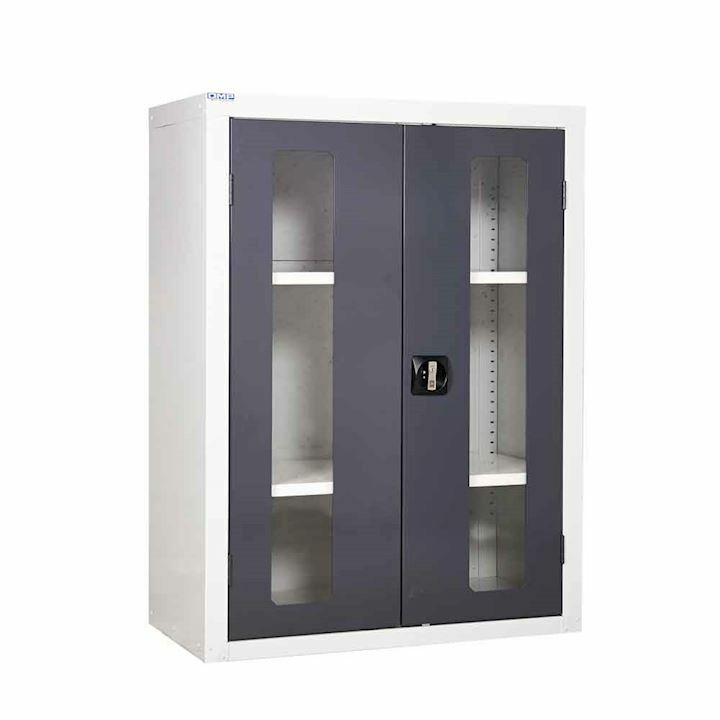 Available in a variety of widths and depths with a choice of locking options, these lockers are ideal for storing personal items in security areas such as banks, retail shops, museums and airport lounges. 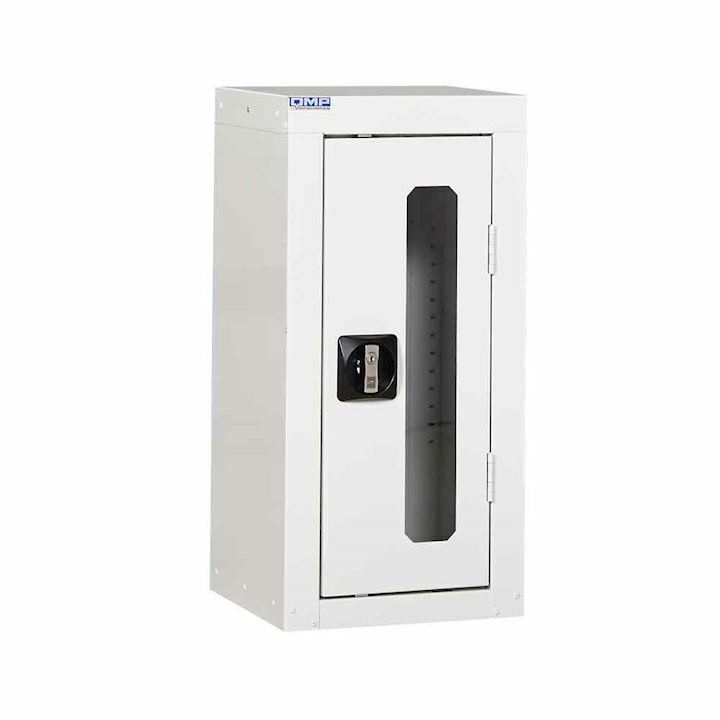 Security is strict with Clearview storage cupboards. Not ony are the cupboards made from steel, but the polycarbonate viewing panels have been strengthened and inlayed inside the steel door. The doors have strengthened edges to ensure further security, and there is a reliable lock on every door. All metal surfaces undergo a three stage pretreatment that helps protect them from damage and corrosion. The carcass and doors are powder coated with a gloss powder before being heated at 180C, and the finished cupboards come in an array of different colours to match your decor. At 3d Lockers, we have more than 25 years' experience. Not only do we supply high-quality storage cupbaords, but we can design the layout of your facility or room. We pride ourselves on offering the best possible service, and we ever offer free delivery on orders over £150 to mainland UK addresses. Our experience, and the volume of products that we buy, mean that we can offer highly competitive rates on all of the storage options that we offer, too. Buy today, directly from our site, or call us with any questions you have about the products we sell.